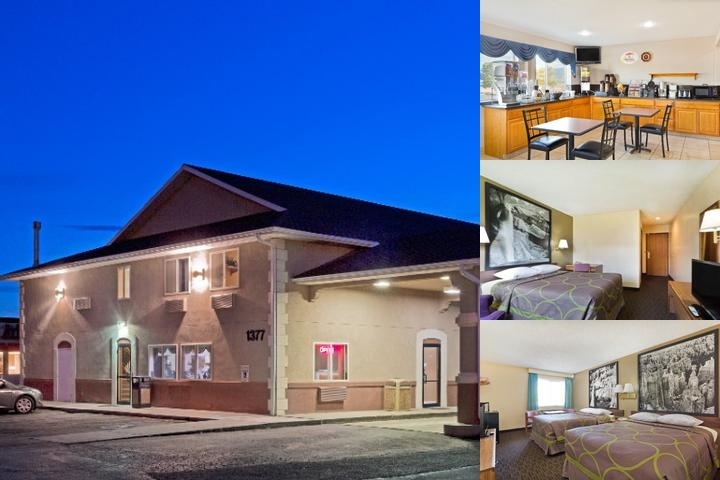 Enjoy a frontier getaway at our Super 8 Richfield, UT hotel. Located off Interstate 70, our pet-friendly Richfield hotel near Fishlake National Forest puts the thrill of the outdoors at your fingertips. With 24-hour front desk staff, laundry facilities and free large-vehicle parking, our hotel is a convenient stop on your journey. Use free high-speed Internet access to catch up on email, and get going each morning with free 8-item SuperStart breakfast bonanza. Non-smoking and handicapped-accessible rooms are available, and kids 17 and under stay free with an adult at our Richfield, Utah, hotel. Our Richfield hotel is a springboard to outdoor adventure. If golf is your game, play 18 holes on the open fairways and fast bent-grass greens at Cove View Golf Club, less than five minutes away. Nearby Paiute ATV trail feature more than 900 miles of scenic trails through dense forest and tough terrain. Fishlake National Forest features beautiful nature hikes and excellent river and stream fishing. Capitol Reef National Park, one of the hidden gems of Utah, offers nature hikes, famous rock engravings and treks through Cathedral Valley and the Waterpocket District. Enjoy a convenient meal in a family-friendly atmosphere with burgers, sandwiches and homestyle dinners at R & R Frontier Village, within walking distance of our Richfield hotel. For down-home classics with Southern flavors, Little Wonder Cafe is only one mile away. Nearby Steve's Steakhouse features cooked-to-order filets and slow-roasted prime rib. For a quick bite after a busy day Big Daddy's Deli and South China Cafe are nearby.